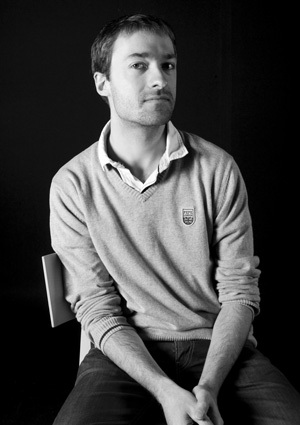 Nicolas Le Scouarnec is a Senior Scientist in distributed systems and high performance computing at Technicolor. His current research focus on reliable and high performance networking building upon DPDK. Previously, he worked on systems for data mining, cloud-based computing systems and distributed storage, and advanced services for residential gateways. He earned a M.Sc. degree from the INSA de Rennes in 2007 and a Ph.D. in computer science from the INSA de Rennes, France, 2010. Elseivier Information Processing Letters, 114 (8), 10.1016/j.ipl.2014.03.006, 2014. Fabien André, Anne-Marie Kermarrec, Erwan Le Merrer, Nicolas Le Scouarnec, Gilles Straub, Alexandre van Kempen. NETYS'2013 : Proceedings of the international conference on NETworked SYStems. Marrakech, Morocco. July 2012 , Extended version available as a research report (arXiv:1202.0457). Steve Jiekak, Anne-Marie Kermarrec, Nicolas Le Scouarnec, Gilles Straub and Alexandre Van Kempen. April 2012, Please cite the conference version (DISCCO 2012, see herebefore). February 2012, Please cite the conference version (ISIT 2012, see herebefore). February 2011. This work previously appeared (September 2010) as Beyond Regenerating Codes on HAL (Open Archive for French Research Institute). Please cite the conference version (Netcod 2011, see herebefore). Kévin Huguenin, Erwan Le Merrer, Nicolas Le Scouarnec, Gilles Straub. A.-M. Kermarrec, Erwan Le Merrer, Nicolas Le Scouarnec, R. Ludinard, P. Maillé, Gilles Straub.